I can’t believe I’m only at week 31. Time is crawling! 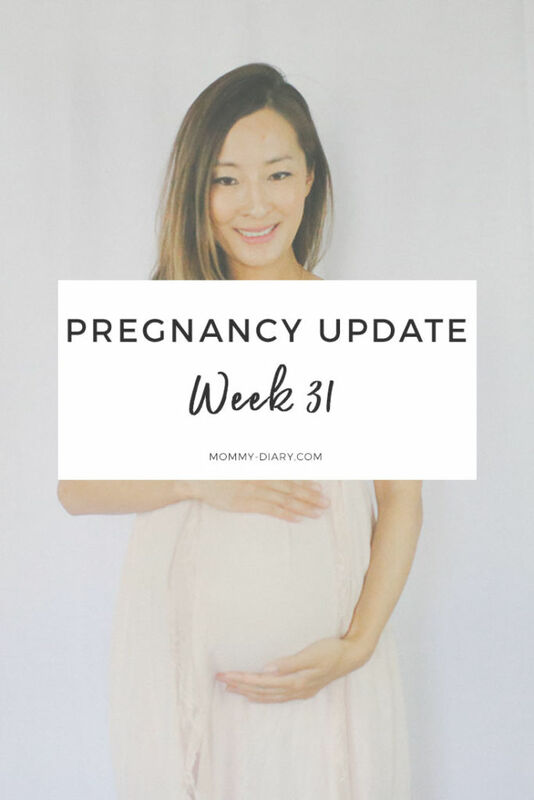 First trimester felt like it took forever, the second trimester flew by and once I hit week 30, everything seems to shift to slow motion again. I feel uncomfortable, achy and “full” like I’ve been pregnant forever. This feeling of always being “full” is hard to explain, but I know most women who has experienced pregnancy knows what it feels like. It’s hard to breathe after a meal and you feel shortness of breath after moving around even a tiny bit. Even walking up and down the stairs in my own home feels like strenuous exercise and leaves me panting for air. This pregnancy is free from any complication or major problem which I’m extremely grateful for, but I’m tired of always feeling tired and can’t wait to be back in my normal body again. But then there are also times when I absolutely love being pregnant, and I never thought I would say this. I don’t enjoy the discomfort, aches and pains but I do enjoy feeling the tiny kicks and movements inside my belly. I’ve bonded with this baby so much already that he is already a HUGE part of my life. Isn’t it amazing how a child you’ve never actually seen with your eyes or held in your arms can feel so intimately close to you? Pregnancy is such a surreal and magical experience, it’s a blessing and gift from God that I never take for granted. A few weeks ago I got a 4D ultrasound for the first time. I can’t believe how far technology has progressed because 11 years ago when I was pregnant with my first daughter, 4D ultrasounds were just coming out on the market and ridiculously overpriced. I couldn’t believe how clear you can see the baby! This is my baby at 29 weeks. It was love at first sight and my heart just melted at his tiny little face. He was making faces and moving his lips. We even caught him yawning! Aside from the physical symptoms, I feel great emotionally. For me, the emotional ups and downs are less severe with boys than girls. I remember being very weepy and sensitive during my pregnancy with my two daughters, but this time I feel more centered and grounded. I’m not sure if its the change of hormones or simply the level of my experience and maturity but overall, I’m enjoying this pregnancy so much more. It also helps that I get a full 4-5 hours of alone time every day that I use to write, recharge and take care of errands. The older I get, the more I realize I thrive on silence and alone time and get stressed out easily in loud, messy and chaotic situations. No wonder raising a toddler and baby was so difficult for me. I’m very thankful that I get to write and work again after the two kids, and that I’m now able to fully enjoy this pregnancy without having to raise young children. Pregnancy has always been a difficult time for me both physically and emotionally even in my 20’s. Now in my 30’s however, I’m better equipped with tools to take care of myself so my tank isn’t running on empty. Thanks to my third baby, I have a much brighter outlook on pregnancy and motherhood in general, and perhaps this is what I was meant to learn! With that said, here are my week 31 notes. 2. Weight Gain: 15 lbs at last check up. I’m assuming I gained about 18-20 lbs now. 3. Symptoms: Fatigue, aches, leg cramps, shortness of breath, feeling heavy and full, breakouts. Baby is moving around constantly now. 4. Food Cravings: Spicy, salty, tangy, hearty foods. I’m constantly craving vanilla soft serve now. 6. Body changes + Physical activity: Breakouts (The zit migrated from my eyebrows to my forehead now), darker pigmentation and linea negra. Under the belly is getting very irritated and itchy. I sometimes break out in rashes under my belly. It’s so uncomfortable and annoying. 7. Belly shape: Full and round. Last minute details for the nursery. I still have to find a crib mattress, wall hangings and curtains. This week I purchased a rocking chair, ottoman and new rug. Here is a sneak peek! I have a maternity shoot scheduled for this weekend and baby shower the weekend after. 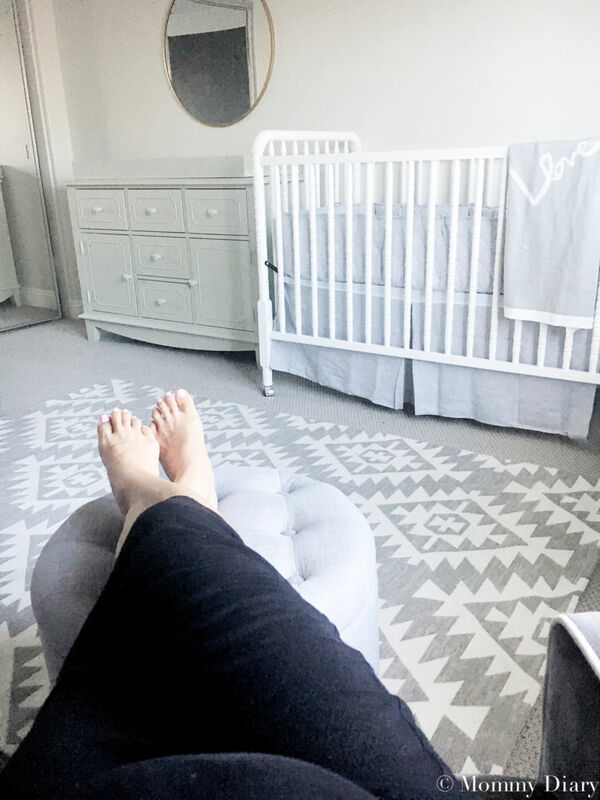 I’m trying to get the nursery done before then but it doesn’t look like it’s going to be that easy. I’m trying to take it easy and enjoy this down time before summer strikes and I go back to full-time mommy duty. Summer is here, time for adventure and plenty of sun. It’s going to be interesting being pregnant and raising a newborn in middle of the heat. 😉 Have a wonderful week no matter where you are! Thanks so much Madeline! I hope it goes well too! Where did you get your dress?? Super cute!!! You wouldn’t believe it. I found it at Forever 21 for $30!